In a far-reaching statement, the Indian PM said that this would hold true even if it means striking inside Pakistan territory again. He made the remark at an election rally, following weeks of simmering tensions between New Delhi and Islamabad over the latter's alleged support of Islamist terrorists in the region. New Delhi (Sputnik): Indian Prime Minister Narendra Modi has categorically said that air strikes against terrorist's infrastructure will be India's new policy, adding that 'New India' will kill terrorists by barging into their dens. Modi is seeking re-electing in the upcoming general election, which is due to begin within a week. "Eliminating terrorists in their homes is the policy of new India," Modi said while addressing an election rally in Latur in Maharashtra. 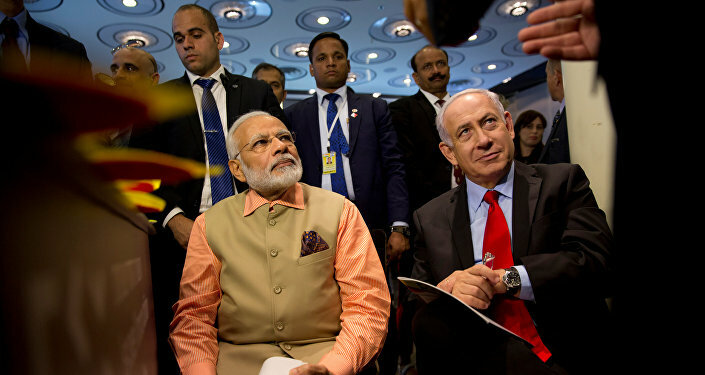 Modi also launched stinging attacks on the country's main opposition Congress Party, claiming they are responsible for the creation of Pakistan. "Had Congress leaders acted wisely during the pre-independence era, this Pakistan would not have born," Modi said. "Had India put its foot down in 1947, Pakistan would not even exist," he added. "The language that Congress speaks is the same language that Pakistan also speaks. Both Congress and Pakistan want that our soldiers are not given the freedom that they need to tackle the menace of terror. Congress and Pakistan both want those who spread terror and want India to break into pieces roam freely in the country," Modi stated, addressing a huge public gathering in the southern state of Maharashtra. Modi's Bharatiya Janata Party (BJP) has based its electoral campaign on nationalism and national security, hoping to win votes amid heightened tensions with Pakistan. Last week, Pakistan Foreign Minister Shah Mohammed Qureshi, in a sensational remark, alleged that India was planning another attack in the third week of April. New Delhi refuted this claim as an attempt to whip up war hysteria in the region. "This publicity gimmick appears to be a call to Pakistan-based terrorists to undertake terror attacks in India," India's Ministry of External Affairs said, adding that India reserves the right to respond firmly and decisively attacks against it.